In the heart of one of the country’s reddest states, it might surprise more than a few that some of the Utah Enlightenment’s finest arts organizations are putting substance behind the talk about diversity and inclusion. Women have pioneered two of the nation’s longest running contemporary dance institutions. The state’s arts and museums division was founded by a woman at the end of the 19th century and two of Utah’s most prominent museums are headed by women. 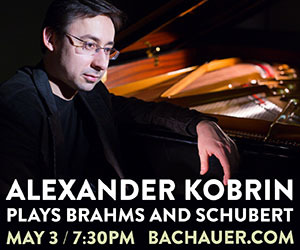 NOVA Chamber Music Series’ current season has featured Utah premieres of works by woman composers. Repertory Dance Theatre’s current season is based on the theme of Manifest Diversity. 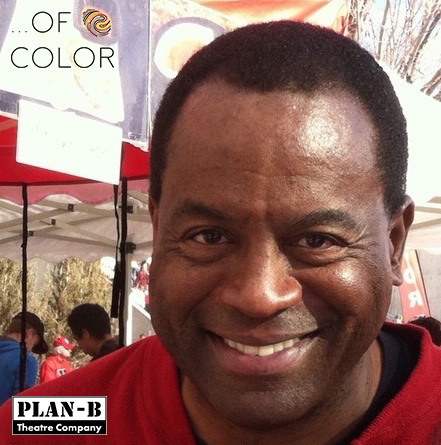 Plan-B Theatre consistently has set precedents, including Utah’s first premieres by an Asian-American playwright (Wallace by Jenifer Nii and Debora Threedy, 2010) and African-American playwright (Mama by Carleton Bluford, 2015). 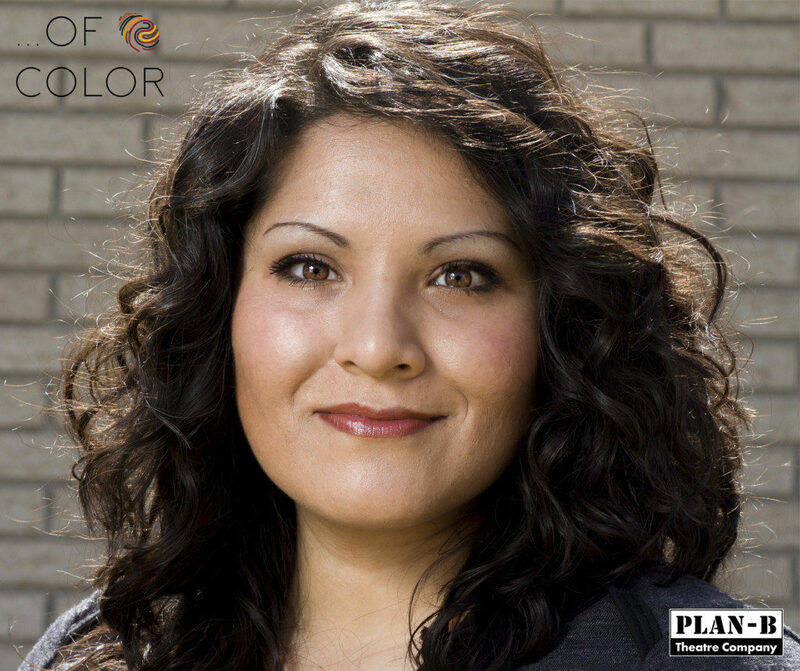 To close out its 28th season, Plan-B will set a new benchmark with Of Color, the world premiere of four short plays by four Utah playwrights of color, each making their playwriting debut. The production, directed by Jerry Rapier, will run March 28-April 7 in the Studio Theatre at the Rose Wagner Center for Performing Arts. 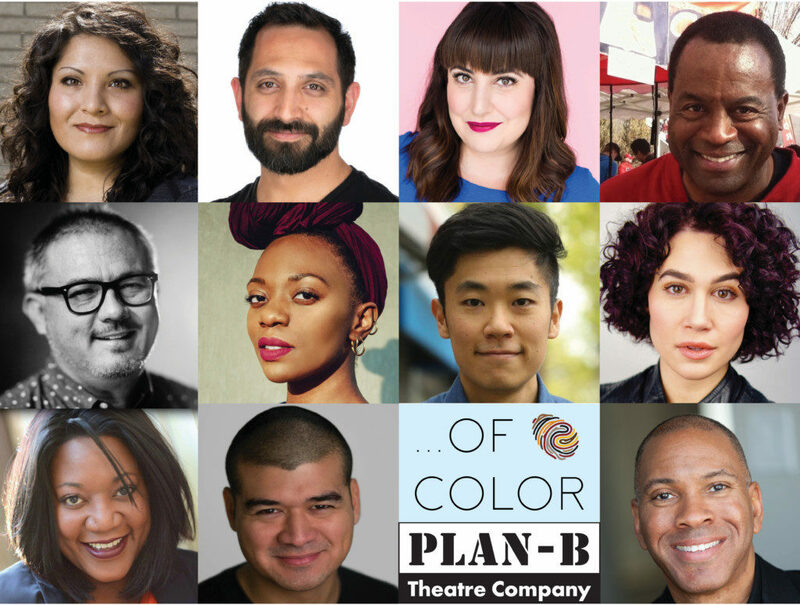 The plays came from Plan-B’s Theatre Artists of Color Writing Workshop, launched in 2017 shortly after the company hosted a gathering of 51 theatrical artists of color. The premieres include Driver’s License, Please by Olivia Custodio, a wickedly uproarious bit of dark comedy set in a rental car agency, and American Pride by Iris Salazar, a comic piece that definitely pushes the boundaries of dark realism regarding the ‘Make American Great Again’ exhortation – both of which are believed to be the first Utah premieres of a produced piece by Latina playwrights. Bijan Hosseini’s The Frailest Thing is a soul-baring solo piece on the difference between wanting to live and not wanting to die – believed to be the first Utah premiere by a Persian playwright. Rounding out the quartet of pieces is Roar by Darryl Stamp, an African-American playwright, a dramatic comedy piece about stand-up comedy. Indeed, many groups do little more than perfunctory mention of diversity and inclusion in a boilerplate statement for grants funding. However, in Plan-B’s case, “we have a long way to go, but we are striving to not just do the work, but to observe it while we’re doing it to be sure we’re actually doing it,” Rapier explains. After the June 2017 gathering, Rapier organized a two-month theatrical writing workshop with Julie Jensen, Utah’s most widely produced playwright and with a long nationally recognized career as a teacher and scholar. Rapier initially hesitated about having a white playwright for the workshop but the participants unanimously agreed that she was their choice. As the responses to a set of questions from The Utah Review indicate, each playwright cites specific instances about Jensen they found critical and essential in persevering through the always-grueling writing process. Actors include Jillian Joy, Brien Keith, Bryan Kido, Erika Ovuoba, Carlos Nobleza Posas and Yolanda Stange. The production crew includes La Beene (costumes), Cheryl Cluff (sound), Megan McCormick (lighting, assisted by Emma Eugenia Belnap), Cara Pomeroy (set, assisted by Harris Smith) and Arika Schockmel (props). Jennifer Freed is stage manager and Sam Allen assisted Rapier in directing. Performances are scheduled on Thursdays, Fridays and Saturdays at 8 p.m., Saturdays at 4 p.m. and Sundays at 2 p.m. For tickets, which are going quickly, see the Plan-B web site. TUR: What was your most important takeaway from the experience of being in the writers’ workshop? Olivia C: Writing a play is not impossible! Bijan H: The most important takeaway for me was learning that I could actually do this – start to finish, not just have another idea or half written something. Iris S: I think an important takeaway for me from this experience is that as artists of color we can make things happen when we get involved and go after opportunities that arise. Plan-B Theatre had a gathering of artists of color and after hearing us out they created the Artists of Color workshop which led to the…Of Color Production. I think this is just the beginning and I can only hope that the rest of the theater communities in Utah will learn how valuable artists of color are and that they look for ways to include and reach out to artists of color so they can participate and feel welcomed in their communities. Darryl S: Gratefulness would be foremost for me in terms of an important takeaway based on participating in the writer’s workshop. Possibilities are nurtured from opportunity, and I’ve experienced personal and artistic growth because of this experience. I’ve met, reconnected with, and been inspired by talented artists whose generosity I’m also thankful for. The chance to share my perspective and the beginning of my growth as a writer is humbling. TUR: What feedback did you find useful, especially as it helped to strengthen and maintain your unique voice as a writer/playwright? Olivia C: As Julie Jensen would say, “Just write the damn thing.” My biggest problem is that I try to edit as I write rather than just getting the story out and going back later with a fine-tooth comb. So, for me, the value of this class was that it forced me to overcome my fear of bad writing and tell a story. It will never be perfect, and that’s okay. It really felt like building an incredibly weak muscle– the permission-to-be-bad muscle. And as I gave myself that permission and stopped editing every thought I had, I found my voice. Bijan H: Being in a room where everyone else was, however timidly at first, being and bringing themselves to the table was like an infusion of collective courage that allowed each us to feel like we had permission to go for it. No one tried to be or sound like anyone else. And we all encouraged each other where we were in the direction that was most helpful for the story they were trying to tell. Iris S: The second or third class that Julie Jensen taught she handed out a paper to each of us with something she had written specifically for each playwright. The one she gave me said something along the lines of how polite I was and how I should allow myself to not be polite… but she said it far more eloquently. I just don’t remember the exact quote, so I ran with that. I knew from the beginning that I wanted to create a piece that was a little shocking and about the racism that has emerged with our current political administration and Julie’s note that day was like a permission to do so. Darryl S: Everything Julie taught us to explore and be mindful of was useful. Setting aside the time to write several small moments or scenes, while not worrying about where they fit within the play is freeing. It allows for creative streams of consciousness. There’s plenty of time to rearrange the play’s structure like Feng Shui furniture. When it all comes together, it’s a feeling akin to finding the last puzzle piece under the table. TUR: What have been the inspirations and motivations for you as a writer? Here, I’m most interested in individuals, role models, mentors, experiences, events, etc. Did any of these infuse your creative process for the specific play created for this production? Olivia C: Hands down, my biggest playwright idol is Steve Yockey. I was cast in a reading of his play “Bleeding Hearts” at Salt Lake Acting Company in 2015, and that was it; I was obsessed. Steve’s stories are exactly what I’ve always wanted to see onstage. They’re dark, disturbing, hilarious, over-the-top, fantastical, thought-provoking, and always take a turn towards something you weren’t expecting. Seeing his plays made me think, “You know, I have outrageous stories in my head, too. Maybe I should go for it.” I have been fortunate enough to work directly with Steve and have stayed in touch with him over the years. He is wildly successful and his works are such a testament to the power of huge comedies and outside-the-box storytelling. 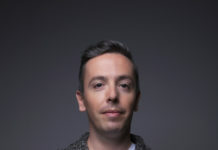 Bijan H: The list of art and artists, influences, people, places, experiences and things that have affected and influenced me is so long it would be more novel than list – how could it not be. They all make me me, and hopefully I can make something interesting come from all of them. Some notables for me always, and for this project specifically: Shakespeare, always. Graham Greene and Ford Maddox Ford who, for me, are two sides of a very interesting coin. Nick Cave, Brett Anderson, Guy Garvey, and my best friend Gareth – although you’ll unfortunately just have to take me at my word on that one. Acting has and will always inform my writing and to that (particularly in the Shakespeare dept) I owe credit to Frank Gerrish, Reb Fleming, and Javen Tanner. I make a playlist for every writing project. This piece was written primarily while listening on a constant loop to Outlier / EOTWS_Variation 1, End of the World Sun, and a few other tracks by 65daysofstatic – mostly from the two No Man Sky albums. Iris S: Up until the Artists of Color workshop I had not written much since high school but I’ve had some fantastic mentors in my life. From my fifth-grade teacher Barbra Curtis (Lincoln Elementary) who let me and some friends put on a short Halloween play that I wrote for our class to my wonderful creative writing teacher Barbra Murdock (East High). As far as theatre goes I would have to say my high school theatre teacher Carter Williams was definitely the biggest theatre influence for me. He could do it all, teach, direct, act, anything else theatre related and even gave fatherly advice if needed. A big influence for American Pride for me came from my involvement with “Speak Your Peace”, a social theatre group that created short and to the point scenes addressing issues of abuse, teen pregnancy, racism, drugs and other topics. It was a group created by Lori Hargraves when she was a school counselor at West High. When she came to East High school and recruited students I was hooked for several years. The most important mentor in my life would be my mother, she never stifled or questioned my creativity or imagination and every kid needs that kind support from someone. I think the way that the educational mentors I had influenced me through this specific production is by never having made me feel that because I am a person of color I had less of a chance. They were always encouraging and I felt they were sincerely invested in educating all their students in hopes of seeing us progress in whatever journey our lives took us regardless of our backgrounds. My mother definitely was an inspiration for the play. First of all she is an immigrant and we went to the naturalization process together. We were very fortunate to have been able to go through the process without any serious issues along the way. Secondly because she is a mother, and her children’s safety and happiness are always her biggest concern. That helped me develop Alicia who throughout my play has only one concern, her children. Darryl S: As a writer, Roar is drawn from a hodgepodge of experiences. A middle school teacher who thought that I had the ability to be a writer, writing sports for a university newspaper. It includes learning how to teach reading and writing to secondary students. Additionally, my experience with writing “bits” 30 minutes of standup material used for open mic nights, competitions, lead to working professionally. Having worked as a member of Actors Equity Association for several years provided helpful insight. As for role models, Cynthia Levin, artistic director of the Unicorn Theatre (Kansas City, Mo.) gave me an opportunity to learn and grow as an actor. Dr. Shannon Butler and Dr. Gary Dohrer at Weber State renewed my love of teaching reading and writing in secondary schools. Last, and certainly not least, Jerry Rapier and Julie Jensen’s passion and expertise as writers, directors and artists also lead me to this moment. TUR: Let’s focus on the conceptual process and development of your specific play. How did you select this but, more importantly, how did your original idea evolve throughout the writing process? What perhaps was the biggest change either in story development, character, language or dialogue that occurred as you revised your play? Olivia C: This play was inspired by a particularly awful experience that I had at a car rental agency here in SLC. I was in a rush to get my rental car, but the agents behind the counter and the man in line with me were so infuriating that I had no choice but to laugh. It was ridiculous. They were the slowest, weirdest, most frustrating humans, and perfect fodder for an exaggerated comedy. I had no idea what shape the play was ultimately going to take. You connect the dots as you write and it all unfolds organically in a more brilliant way than you ever could have conceived when you sat down. That is the incredible thrill of writing, when you surprise yourself. The biggest change to the story was that originally I had two male agents behind the counter. The dynamic was three men, one woman, which is how it had been during my visit (myself being the only woman). Jerry asked, “What if one of the rental agents was a woman?” That opened so many comedic doors; it was a brilliant suggestion. It’s amazing how one little idea can make the play so much better. That’s another thing Julie taught me– you can’t be precious about what you write. You have to be willing to throw it away and try something else. It’s usually ends up being the better route anyway. 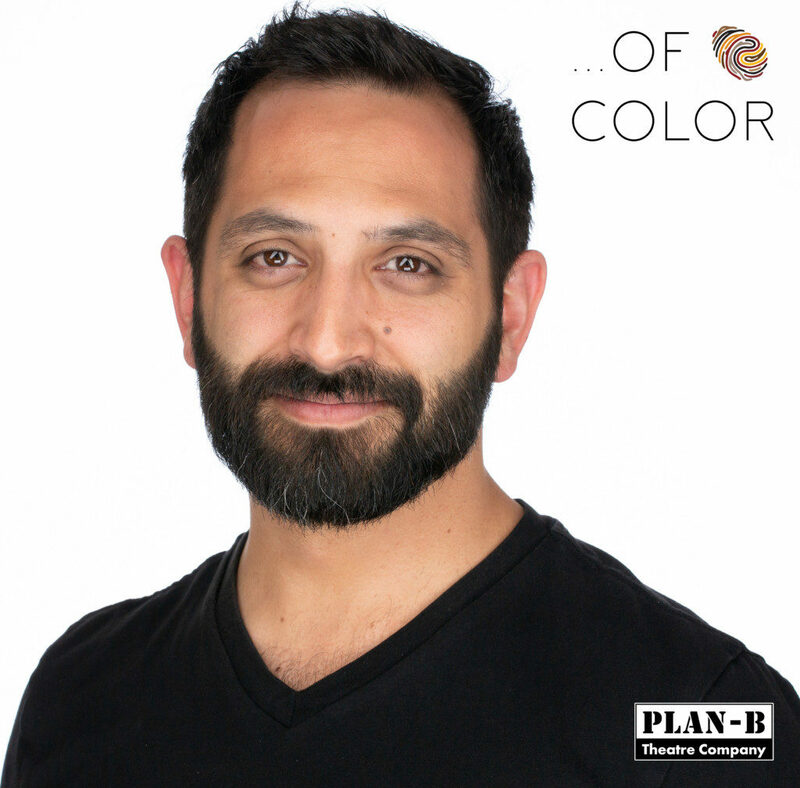 Bijan H: I’d actually written two other pieces which were previously performed as staged readings as part of The Theatre Artists of Color / Plan B, but neither worked for Of Color. So Jerry asked me what else I had (nothing), or what I could write about that met specific criteria. I threw out some ideas, he picked this one – held a deadline gun to my head, and I wrote it. The biggest change was that it was probably three times as long – and perhaps will be again as I develop the full-length play – but it needed to be cut it down for this. Iris S: In the writing workshop I had started to write a play about a Latina who was going to stand her ground at a protest about immigration and her relationship with a white boyfriend who just didn’t understand. It was going to be a more serious piece. However after reading a few pages to the group out loud and getting feedback I decided that I wanted to take a different approach and have my lead character be a racist Christian. I came across a picture of a well to do, politically educated/engaged Christian individual who is a family friend and is supportive of the Trump Administration. She along with a couple other women were posing with Mike Pence in this picture. They looked giddy and like they had just met their celebrity crush. I don’t believe that she is a racist or bad person, I fact she is quite the opposite. It just happens that the picture she was in, her religious background and wealth were the inspiration behind my main character Jane. I wasn’t sure that I would be able to pull off the change and I definitely didn’t think it would be selected for production but here we are. Darryl S: I’ve admired the polish and writing of comedians like George Carlin, Richard Pryor, Robin Williams, Sinbad, Ellen DeGeneres, Christina Alonzo, Iliza Schlesinger, Martin Lawrence, and Bernie Mac to name more than a few. So, my original concept for Roar grew from my desire to expose audiences to facets of standup comedy from the perspective an African-American character’s life experiences. Based on my personal experiences and appreciation of this genre, my original piece was going to be about the lives and performances of three different comedians on stage and off stage. I started writing a greenroom interaction scene a decade ago about four male comedians. Lacking the motivation, I dropped the process after writing just the opening scene. When Jerry Rapier announced the creation of this workshop, I was the first person to sign up. The desire to write about and include the experiences of African-Americans, while creating a vehicle for those same artists is important to me. 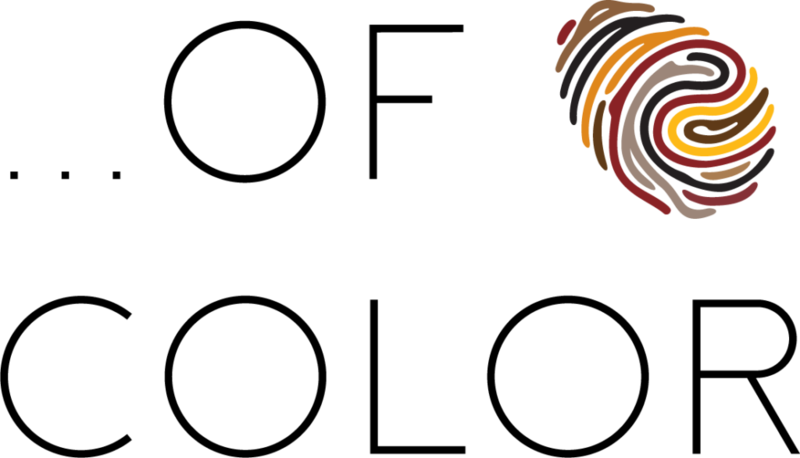 TUR: What do you think young writers of color who are just starting out should know? Olivia C: Your voice is incredibly valuable, so find the people who want to help you tell your story. They’re out there and waiting for you. Never give up! The theatre world needs you. Bijan H: Story is story – whether or not it was written by someone of color. *which is not to say let other people tell your stories, but trust that even though there isn’t an equal representation of your greatness – you can still learn to be great. Read, read, read. Iris S: Don’t let your insecurities and fears hold you back. That is so much easier said than done and something I think that despite having an extrovert personality I struggle with. I can’t help but wonder what other things I might have accomplished if it weren’t for letting my insecurities and self-critic get to me? Darryl S: I would encourage young writers of color to explore and write about the past and present human condition of people like themselves. Doing so provides for the opportunity to create the new stories for those who may share their artistry on stage, backstage, technically, and as writers and directors of new perspectives. TUR: Let’s rotate the table a bit. What advice would you give to a white writer who wants to incorporate characters and experiences of people of color in a believable manner? What are pitfalls to be avoided? What are some objectives that such a writer should strive for? Olivia C: Here’s the honest truth- I am learning the answers to all of the questions myself. Although technically yes, I am a person of color, I am extremely white-presenting and have never been treated differently because of the color of my skin or my ethnicity. In many ways, I am the white writer. Ask a person of color if you have question during the writing process. Don’t assume you know their story better than they do, and please, for the love of god, don’t write a stereotype. Educate yourself, be humble, seek authenticity, and don’t be a white savior. Bijan H: Archetype is fine. Trope is fine. Cliche is lazy writing / an underdeveloped world. Do not be or write cliche. Iris S: Please, please, please inform yourself. Don’t think that because you have a friend or family members by marriage that is a person of color that you know it all. Get outside of your comfort zone and genuinely seek to know and learn. I don’t expect you to understand what a person of colors experiences are but you can learn of our experiences and don’t allow yourself to immediately shutdown when you disagree. You have to be able to set aside your biases and ideas as well as be very open to learning about people of color to be able to genuinely write about our experiences. 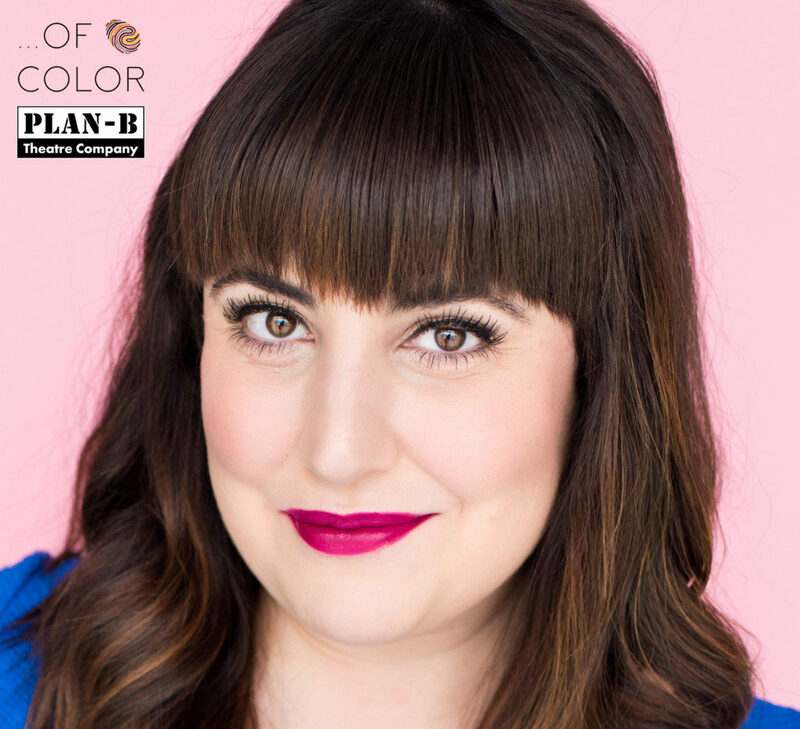 Ask questions and review your work with people of color outside of your everyday circles because as people of color our experiences vary so you can’t expect the person of color who comes from a well to do family and went to an upper east side school to be the voice for all people of color. Please step out of your comfort zones. Darryl S: Additionally, I’d encourage all writers to continue to write believable characters that may allow for casting the best actor for the role using inclusive auditions and casting. TUR: What would you hope that audiences absorb and take away from your play? Olivia C: This is the era of the Woman. We are standing up and speaking out. If that idea bothers you, you should probably ask yourself why. Bijan H: I hope they hear me. I want them to understand. Iris S: I hope that you are shocked and uncomfortable with it. In my mind when I breakdown the mess of our politics system this is what it comes down too. White Racist hiding behind religion to promote their agenda and an administration who turns their back on anyone or anything that doesn’t benefit them. Yeah sure It’s a comedy but it’s short and fast. There is a point when the comedy stops. I would like people to think about what they see in this short play and realize that this is how some people might feel about America. Are we ok with this? It certainly feels like we are. Darryl S: We started the workshop in the fall of 2017, 9 months after Women publicly reasserted themselves in our social consciousness. Roar pays homage to all the women who nevertheless persisted.